Ian, there you must to supplement the word "Avengers" with other keyword (s), for example by the years - "Avengers" and "1967" - or by performers - "Avengers" and "Macnee" - etc. In recent years, this is inevitable that every day on the Internet more and more material on the Marvel' Avengers (much more than British TV Avengers) and I notice that even when in the Russian-language Google I type the keyword Avengers and other, for example "TV" or any performer from the series - I always get to the movies The Avengers. It's harder to look for over the years. 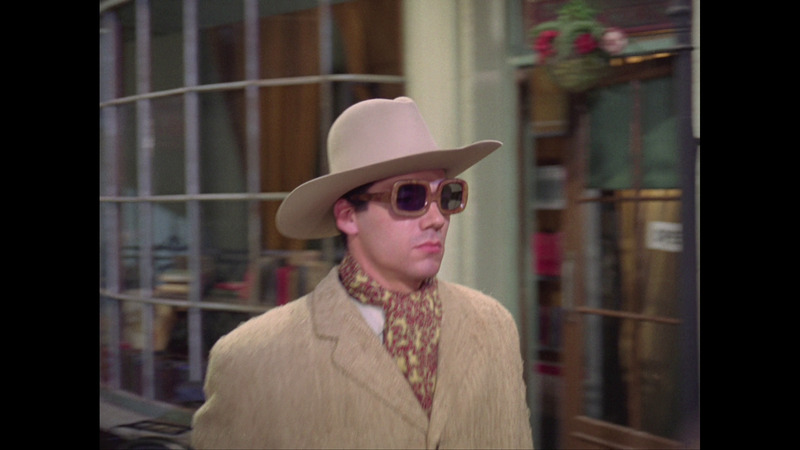 Curious point, dear Avengers fans, when Steed fights Wade - it really isn't Les Crawford as stunt double for James Maxwell. 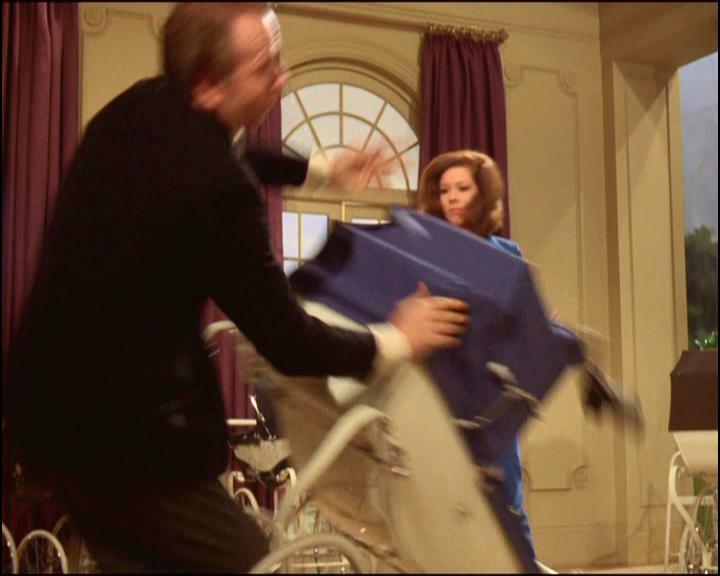 Maybe Les was as stunt double for James Maxwell only in the fight scene "Emma Peel vs Wade"? Alas, it is not visible on Optimum. Go to the Book by Mike Richardson (page 607). But there was no doubt how Mike's book refers to Cyd in this episode again on page 223, and there is pic in an interview with Cyd from fanzine Dave Rogers. Hmm, in addition, it seems that exactly Cyd in Lotus arrives at the parking lot, while the other girl (Annabella Heath?) plays as Emma in Lotus in other footages. That is all. You will not see the face Cliff Diggins, Rocky Taylor, Art Thomas and Paul Weston even on Blu ray, I'm sure. 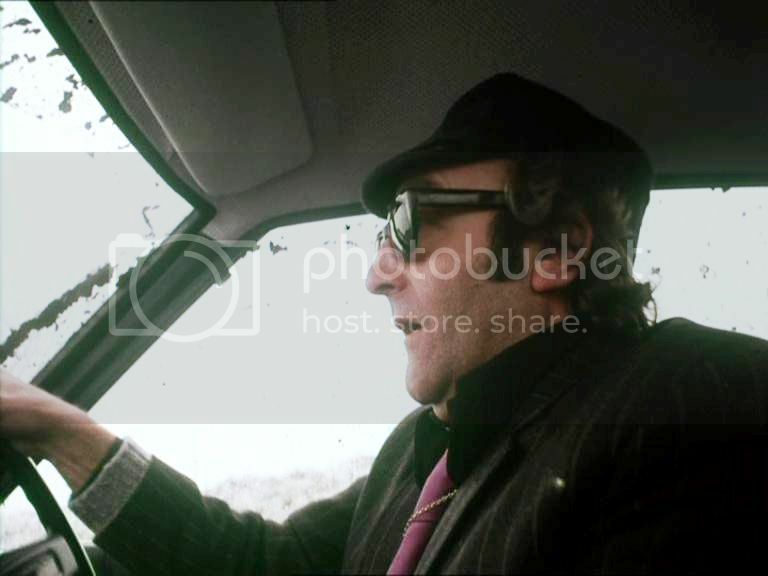 Paul Weston as stunt driver and even stunt double for John Steed in footages "Steed + Bentley". 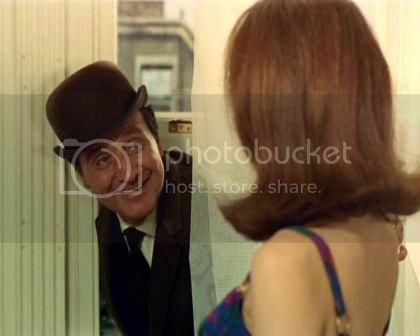 Moreover, he can be a double for Steed when he was walking in the park.
? Maybe, but frankly looks his participation could not get to the final editing of episode (if he actually was there). I think he could be the stunt double for Dudley Foster as a nanny Roberts when Steed punches him in the flat of the general. Art Thomas was a specialist in disguises, so it seems the most likely. He, for example, doubled for Sally Nesbitt in episode The Joker. Most likely he was a stunt driver. 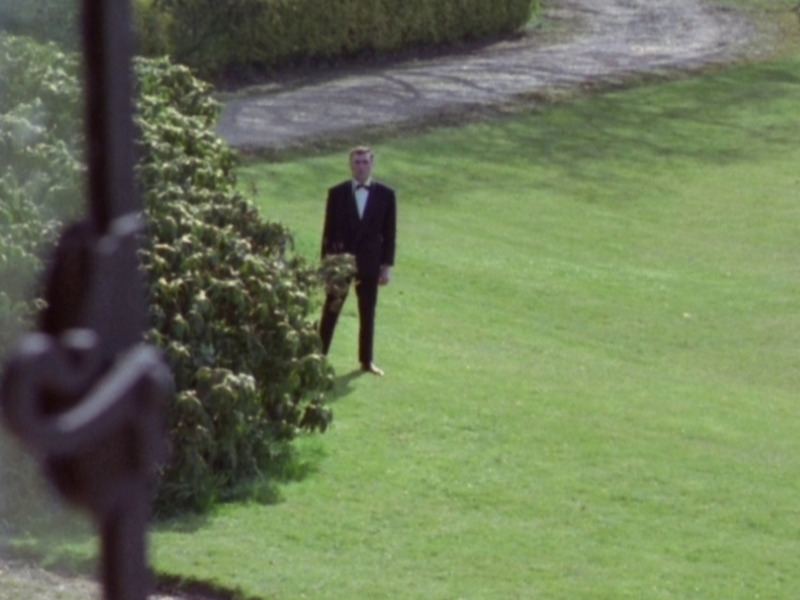 And I don't know who is the stunt double for Trevor Bannister when Steed hits Gordon near Bentley. He does not look like any stuntman mentioned in this post. Paul has stated that he did all the wheelchair sequences, being towed by a vehicle so he had little to no control. Thanks for the info, Piers. Looks like Paul was as the sort of main stuntman in this episode. I think this is so. Go to the Book by Mike Richardson (pages 609-610). In fact, it is difficult to determine using DVD, but by identification, he is closer to Joe Dunne than Rocky. 2. The second surprise, I did not find Cyd Child in this episode. All the footages where you see Emma's face in an action (except for her in the car on the background - Annabella Heath? (clearly seen is not Cyd Child)) is given to Diana. There are a few footages where Emma's hand (s) (is) are present on the close-up, but I doubt that they belong to Cyd. It is most likely that all the footages with Cyd were not used or deleted during final editing of TV episode. 3. Yes, it looks like Rocky was doing stunt double for Peter Jeffrey as Max. You do not see his full face, but the hairstyle and manners is like Rocky. 4. Art Thomas probably fell down the stairs for Sally Nesbitt. Go to the Book by Mike Richardson (page 611). More, there are rumors that Annabella Wise (Heath) was as stunt double for Diana in the fight with Lola. (source, for example, book The Ultimate Avengers). I analyzed the scenes, definitely if Annabella is in episode, she performed her usual functions. Go to the Book by Mike Richardson (page 613). Go to the Book by Mike Richardson (page 615). The presence of Cyd and Rocky are the most obvious in this episode - you can see them in different scenes, from car chase to the fight. You don't even have to have Optimum DVD, you will see it on older video editions too. Joe Dunne appears for a very short time as stunt double for Benson; in general, Frederick Jaeger does his stunts himself. An interesting detail is that the same stunt team took part in the episode Who's Who???. Looks like it could be Paul Weston falling down the stairs? Look like it could be Paul Weston falling down the stairs? 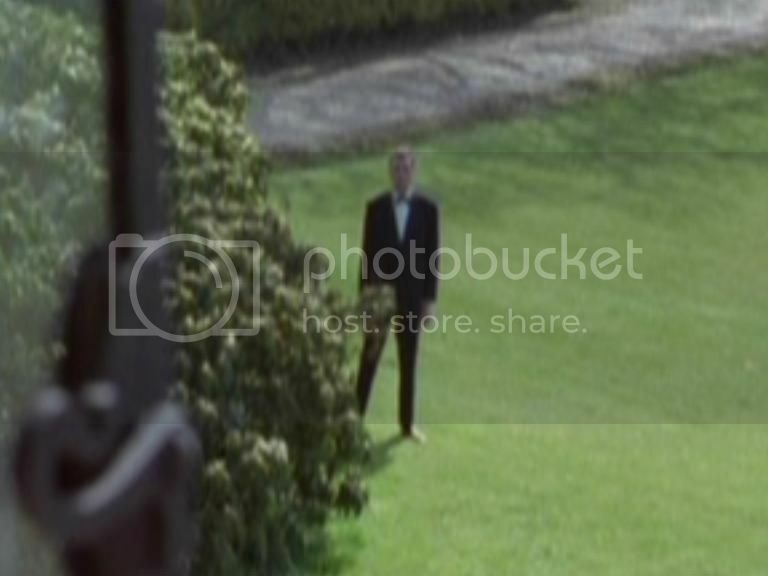 I agree that it's Paul doing the stair fall, I don't recognise the actor in the garden though. 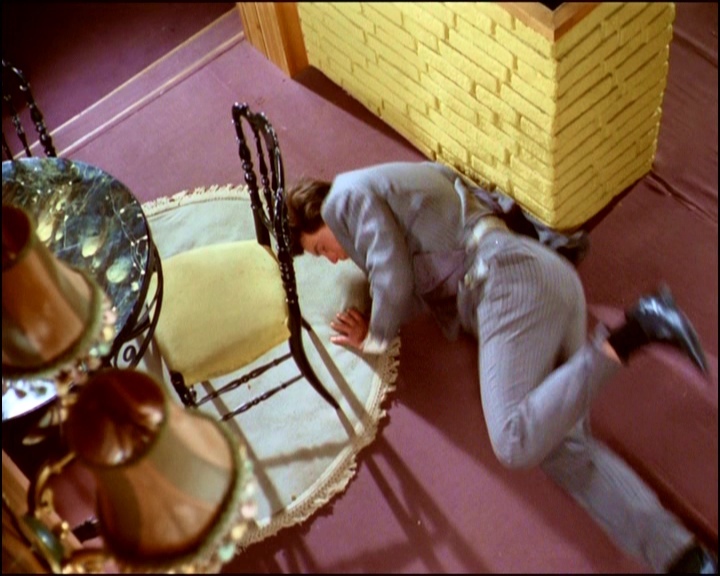 Yes, this maybe Paul doing the stair fall - sadly, it's not Blu Ray shot to identify for sure. 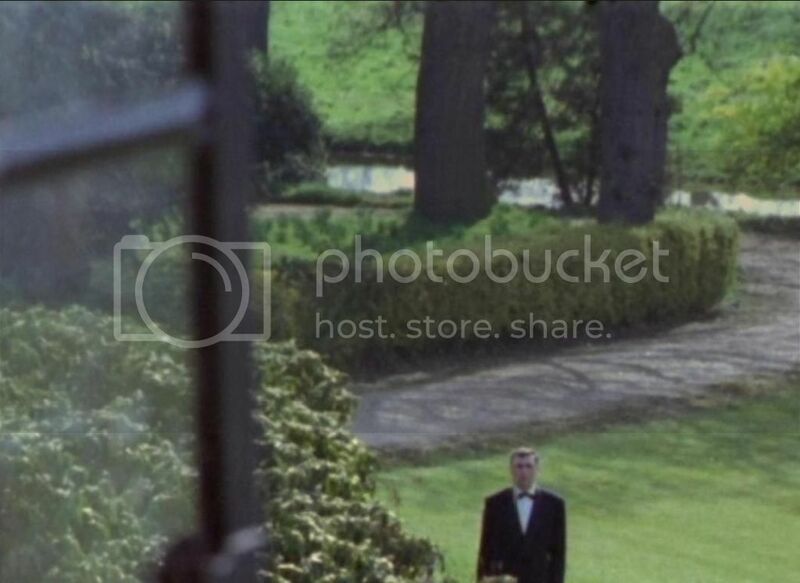 Oh, I don't recognise the actor in the garden too. However, the good news is that my American Blu Ray is going through customs in the USA, and will probably be in Moscow in January. American blu ray? They haven't released one! I got the hint, Piers. This one is from Lionsgate, where there are eight episodes on the disc, which looks far beyond the quality of European blu rays. I suppose this one is in any case higher quality than the DVD. Oh, I think the Liongate is just the A&E DVD episodes put onto blu ray discs. A bit of a waste of time & money. Here is how! Thanks for the information, Piers. In this case, I still have not bought the due Blu Ray. Recently I received this Blu Ray edition. I am quite pleased, Piers. The picture quality is better than any DVD of Avengers, including DVD Optimum, respectively. It is looks like the British and German Blu Rays. 1. It looks like the Blu-ray uses the same transfer as Optimum. 2. Based on point above, the audio pitch is exactly the same on this Blu-ray as on the Optimum discs. 3. These are the same prints of episodes as Optimum (except that the entry "The Avengers in Color" for every episode is without music cue), so there are the same pluses and minuses. 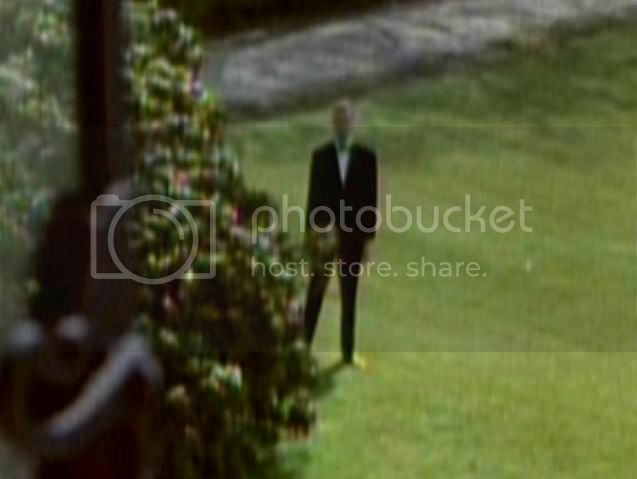 It's nice to notice like Optimum DVD, that footage from scene "Mrs, Peel, we're needed" in the episode The Bird Who Knew Too Much, which, I think, mistakenly played in reverse in all home video releases of episodes before (and probably all TV versions too, which had this scene), is in right seqence. 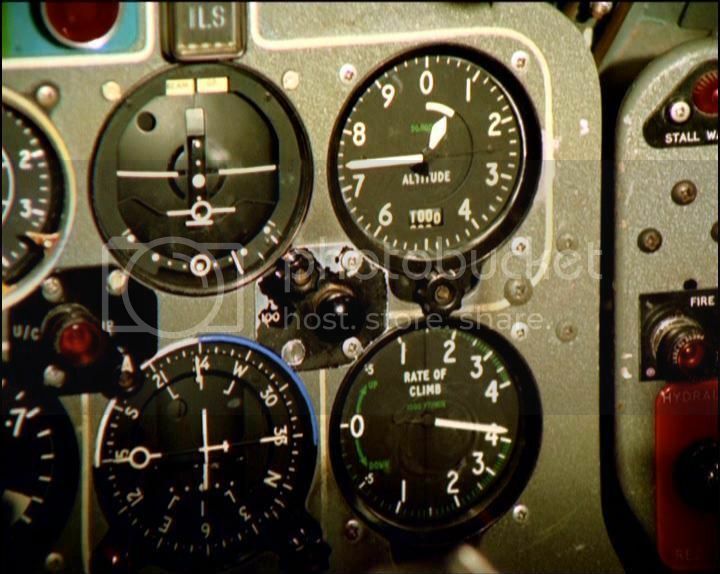 ...but then the steering wheel and the altitude barometer move in reverse direction. Like British DVD edition (Optimum), there are two cuts in episode Return of the Cybernauts. Good screenshot. Paul Weston plays two roles in this episode. By the way, when recently I watched the stuntman for Peter Bowles in Escape In Time by Blu Ray, I had a feeling that this could be Romo Gorrara. Does anyone else have this feeling? Right now, I am working on the webpage "French DVD 2017: The New Avengers" for Steedumbrella and watching the Rover TV commercial, I discovered that the driver in the white car was playing by Alan Stuart. Footages with Alan from this commercial also appears in TNA episode "The Lion and the Unicorn". Right now, I am working on the webpage "French DVD 2017: The New Avengers" for Steedumbrella and watching the Rover TV commercial, I discovered that the driver in the white car was played by Alan Stuart.